Dixons Group (inc. PC World and Currys) have dropped the price of the WiFi only 32GB model to Â£399. This seems to be a response to the release of the newÂ Samsung Galaxy Tab 10.1, with the WiFi only version of that tablet being the same price (although offering only 16GB of storage). The Galaxy Tab does look to be a nicer tablet, thinner and lighter than the Xoom, as well as having a superior screen. But will the extra 16GB of internal storage tempt you to go for the Xoom over the Tab 10.1? 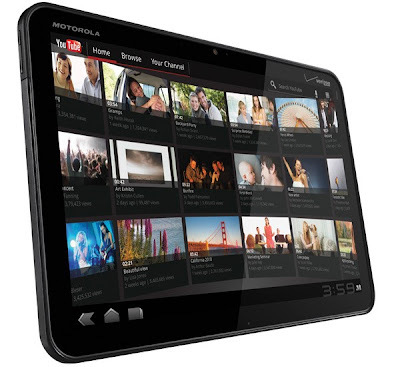 And lets not forget the Asus Eee Pad Transformer which is available for only Â£349 (the best option imo).